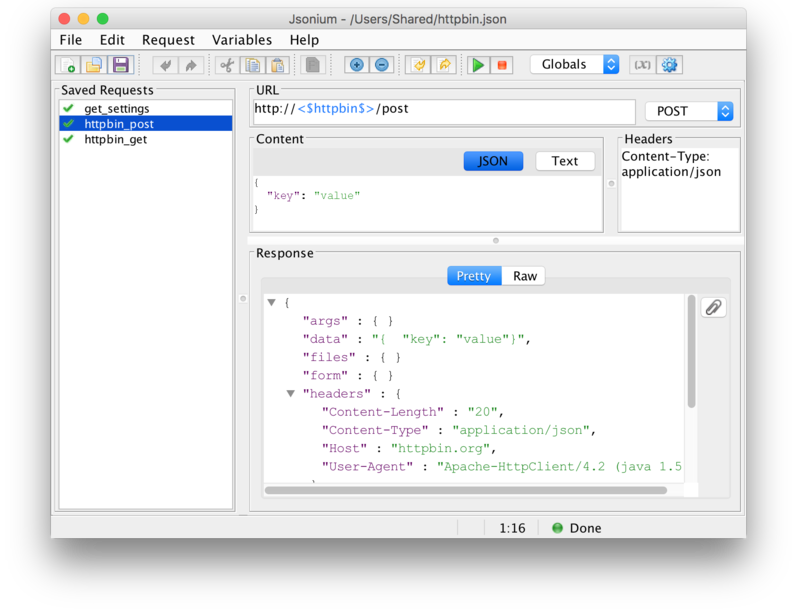 Jsonium is a free REST client for JSON over HTTP protocols, which allows testing of your REST API in an easy and convenient way. Simple user interface allows you to quickly start using the tool. Easy to edit request with JSON syntax highlighting, and analyse response with pretty formatting of JSON and XML content..
Requests can be stored to files in JSON format and reused. The same request can be used in different contexts with environment variables. Jsonium is developed in Java , and requires Java 1.6 or higher in order to run. Download Jsonium installer or zip archive from release area. 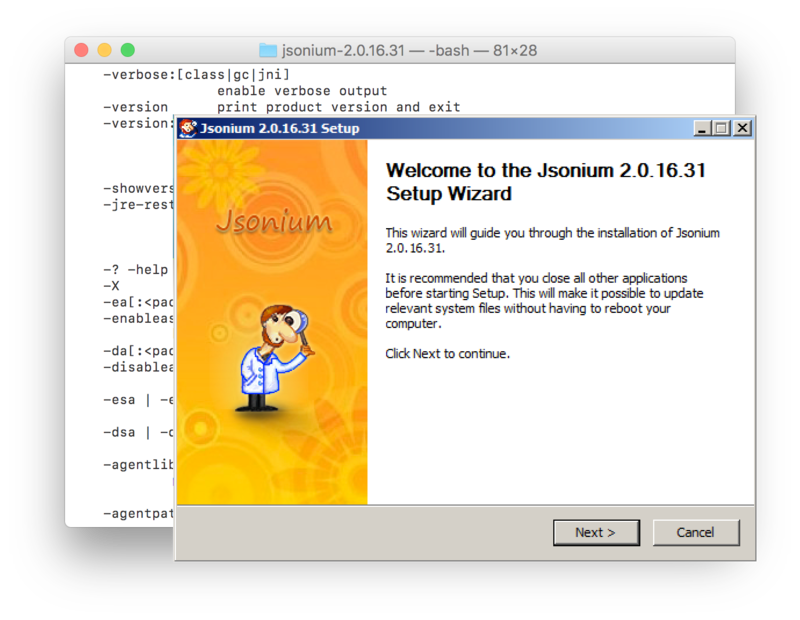 Run the installer and follow instructions to setup Jsonium. Launch Jsonium from the Start menu. Unpack the zip archive to <jsonium home> directory. Copyright © 2013 - 2019 Jsonium. All Rights Reserved.